When I was 20 years old, I had the opportunity to intern and work at Merrill Lynch when it was the largest branch for any financial services in the world. I was amazed with the speed and complexity of the business, and I really wanted to learn because I’d been investing stocks since I was 13. So, I always had some level of fascination with it. Michael Carlin is driven by that fascination and a desire to help others achieve their goals. He’s known for helping his clients uncover and understand more about their financial situations than ever before, building meaningful relationships and helping them move forward. Michael handles a wide range of responsibilities including heading up the practice’s investment committee, making strategic decisions on how to move and change client portfolios and making sure the practice is meeting its fiduciary responsibilities. 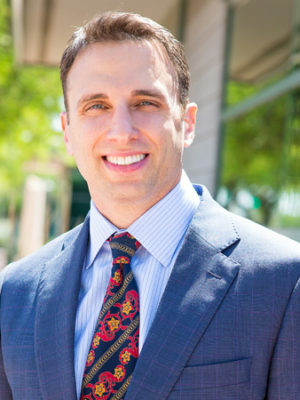 Michael founded Wealth Management, LLC in 2005 after moving from Boston to Scottsdale. The firm has become one of the most highly regarded independent wealth management practices in the state, and Michael has been named an Elite Adviser with Independent Financial Group seven times. In 2017, Wealth Management, LLC became Henry+Horne Wealth Management. Before moving to Arizona, Michael founded CCR Wealth Management, LLC out of Boston. The firm quickly became one of New England’s largest wealth management practices and was named a Cetera Advisors/Pershing LLC Top Advisory Firm since 2004. CCR Wealth Management, LLC was closely affiliated with Massachusetts’ largest private accounting firm, CCR Advisory Group, LLP. Outside of work, you can find Michael spending time with his kids. Every weekend he makes them either pancakes or waffles from scratch, both of which would not be complete without one of his favorite things in the world – Vermont made maple syrup. He also loves to take his son fishing – a pastime Michael taught himself after watching a few videos one night because his son asked him to teach him how to fish. Economic outlook update: how is the economy doing under the new administration? Real Estate Investing: Should You Follow the Crowd? Bitcoin: The Next Generation or the Next Digital Flop?